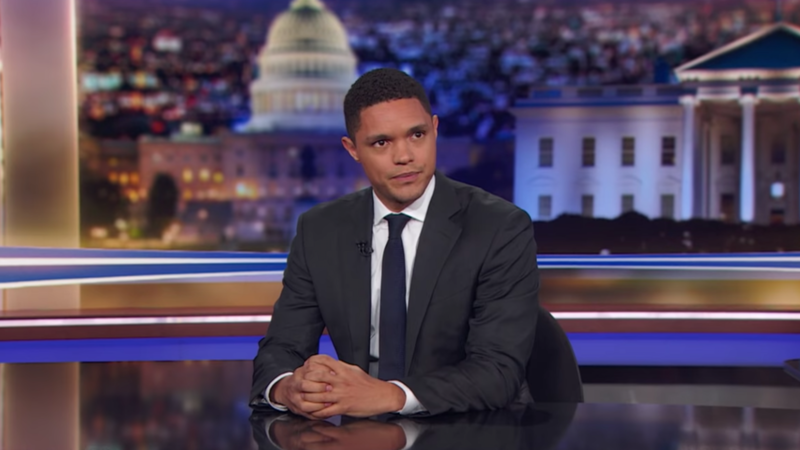 Daily Show presenter, Trevor Noah got a light moment on his show to poke fun at the Kenyan Judiciary for temporarily lifting the ban on controversial Rafiki Movie so it could be eligible for the Oscars Awards nomination. Justice Wilfrida Okwany lifted the ban imposed by the Kenya Film Classification Board (KFCB) for a week, to allow the film to to be screened in Kenyan cinemas so it could be eligible for nomination to the Oscars. “I think it’s amazing how even homophobia bows down to the Academy awards,” Trevor Noah commented. He continued to make fun about how the government would be so much against the show but when they hear that it’s an Oscars Nomination, they get excited. Despite the lifting of the ban, Rafiki film missed out on Oscars nomination as it failed to meet the Oscar Academy requirements. The film was to be submitted under the Best Foreign Language Film category.